Young Smiling Mechanic Squatting At The Door Of A Car She Is Preparing To Remove. Banque D'Images Et Photos Libres De Droits. Image 102889453. Banque d'images - Young smiling mechanic squatting at the door of a car she is preparing to remove. 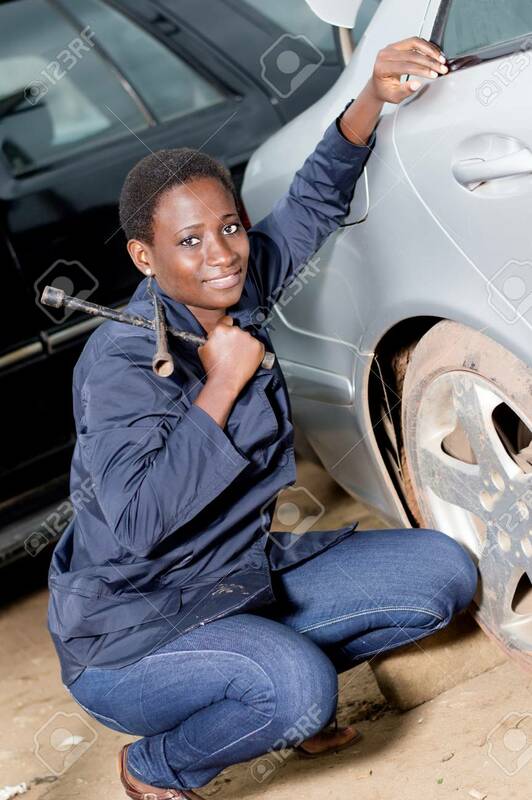 Young smiling mechanic squatting at the door of a car she is preparing to remove.